The single-select question in front of us is this: who will take home the 2011 EXPLOR Award? Will it be Hewlett-Packard, Microsoft or PepsiCo ‘ and their market research partners ‘ as they contend for this prestigious honor in research innovation? The call for nominations was extended through September 12. Innovation leaders from global corporations, research agencies and academia were invited to submit high-impact cases where technology and creativity have merged to advance the research and insight process. A world-class judging team ‘ from noteworthy organizations like General Mills, GfK, NBC Universal and Wharton ‘ selected the top three candidates that will be presented at The Market Research Event (TMRE), November 7 ‘ 9 at The Peabody in Orlando, Florida. Last year’s winner, American Water, along with finalists, ANZ National Bank and eBay, showcased innovation in market research through their respective case studies. American Water’s case study, ‘Tipping the Scales: How a New Research Tool Has Changed American Water’s New Business Development,’ was a cutting-edge example of how insights from research can drive performance and new directions for a business. 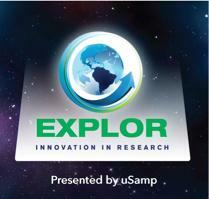 The EXPLOR ceremony is during the keynote sessions on Tuesday, November 8, at 9:45 am. The presentation also features the NGMR Disruptive Innovator Awards, as the two jointly honor and cast a spotlight on industry innovation. The winning EXPLOR case study will be presented at 10:45 on Tuesday, November 8, in Celebration 12-13. There is a very congenial atmosphere at the presentation itself, said Miller. ‘People are excited about sharing tangible details about success, and moving our industry forward.’ Past winners and finalists include: Orange Telecom, Frito-Lay, Unilever, IBM, Intel, Kraft, Procter & Gamble, Wharton, NBC Universal, UCLA/MIT and Microsoft among others. Past research partner winners and finalists include: Nunwood, Decision Insight, Communispace, Knowledge Networks, Millward Brown and Neurofocus among others. The NGMR Disruptive Innovator Awards, sponsored by Tom Anderson of Anderson Analytics, will share the presentation stage in partnership with EXPLOR ‘ together creating TMRE Innovation Awards. The Disruptive Innovator Awards recognize companies and individuals that have demonstrated outstanding leadership as change agents and made significant contributions to harnessing disruptive innovation ‘ technological, methodological or otherwise ‘ to drive research industry progress. Past winners and finalists include companies such as 3M Corporation, Linkedin and Nielsen Media Research among others ‘ and individuals including AJ Johnson of IPSOS and Sean Conry of Techneos. Congratulations to all who submitted case studies. Your innovative approach to market research is recognized and appreciated. This post also appears at uSamp’s Blog. Recently Q ‘Agentur f? ?r Forschung and linkfluence released an inventory of the German market research network. You can access the interactive dataviz here (which is highly recommended). Well, first of all we learn, that the internet network of market research in Germany not yet developed and divided into two parts. First of all there are traditional market research players (left side) that exist on the internet mainly isolated and ‘for themselves’. And then there’s the networked side of the industry (right side). Here you find blogs and social network presences of agencies or individuals who produce (also) market research related content (including my German blogs Olympiamilano and FOYER for dedicated market research). The degree of linkage between the two sides is rather weak and limited to a few connection points. Although the market research industry as a whole picks up momentum in the social media world social media agencies and specialized player are very active and much stronger located in social media than “classic market research”. In addition, you can see that the German market research blogosphere is relatively small and personal. While in other communities the content is mainly delivered by bloggers and they discourse on issues play a central role, the market research blogging scene is very ‘manageable’. You probably won’t find open discussion on market research topics currently in the market research web. It therefore can be considered rather a Web 1.0 experience than Web 2.0. The German market research web is not dominated by user generated content or active exchange, but mostly by news, press releases or articles. 4. Another explanation for the fact that almost nobody actively participates in knowledge sharing across the web 2.0 lies in the fact that they don’t receive any instruction from the management level for this. There is rather the attitude “I can take without giving”. Chadwick Martin Bailey is a sponsor of The Market Research Event 2011. Leveraging over 25 years of customer satisfaction research experience, Pinpoint Suite drives management action and improves performance at every level. Boston, MA ‘ October 27, 2011 ‘ Chadwick Martin Bailey (CMB), a Boston-based custom market research firm, today announced the launch of Pinpoint Suite, a customizable collection of web-based tools to improve the usefulness of customer feedback. Pinpoint Suite integrates with existing customer feedback measurement programs to let managers proactively build and strengthen customer relationships and effectively lead performance improvement in their organizations. Pinpoint Suite goes beyond traditional customer experience management tools; it engages managers at each level of the organization and is customized to support specific roles within the company. At the executive level, Pinpoint Suite’s enterprise-wide insights and tools help ex? ?ecutives prioritize decisions, set plans, and allocate resources. For managers, Pinpoint Suite lets them ‘close the loop’ on systemic issues by providing tools that clearly identify problems to fix, list potential solutions, enable a planning mechanism, and track the results of the actions taken. Real time insights let front-line staff identify, understand, and resolve individual service fail? ?ures as they occur. 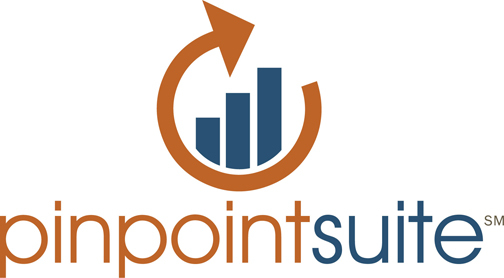 Pinpoint Suite combines state of the art analytics with customized, highly-usable, and engaging tools to make high-impact business decisions. Leading up to The Market Research Event, we’ll profile the keynotes, tracks and themes at the 2011 event. Over the next few weeks, we’ll be looking at the international sessions new to the event. For more information on TMRE, taking place November 7-9, 2011; in Orlando, Florida, download the brochure now. If you register TODAY, October 14 using code TMRE11BLOG, be one of the first 10 to register get a free FlipCam! Also be sure to RSVP for the TMRE Tweetup taking place 11/6 before the event! Featured Session:Drawing on recent activities extending the YUM! 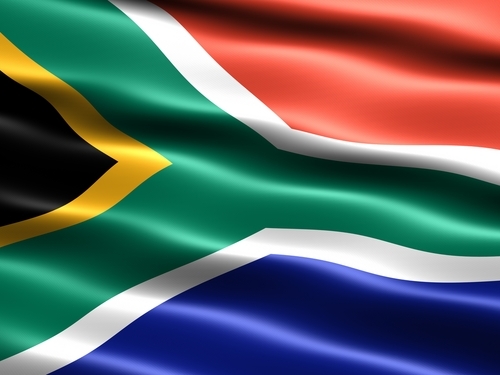 Portfolio of brands into various regions in South Africa, this session will discuss how to overcome the challenges of gaining insights and marketing across widely differing cultures in one market. ‘All of the great and inspiring leaders of the world all think, act, and communicate in the same way which is the exact opposite as everyone else. It’s called’ the ‘Golden Circle.” – Simon Sinek. We should be able to explain what it is that we do, and how we did it; those things are easy. Answering they why seems to be a bit more difficult. It’s this aspect, the why, however, is the most important aspect to getting your insights, your work, your vision accepted by those you are conducting the research for. And the why is not profit; that is a consequence of everything else. What does this mean for market researchers? our beliefs, and sell it with inspiration. specific needs and specific questions. This is market research. The North American Conference on Customer Management is less than 3 weeks away. The industry’s leading companies will be attending – don’t get left behind – gain the skills, insights and techniques you need to be more valuable to yourself, your team and your organization. Readers of the Customer’s 1st blog can save 15% off the standard registration rate with code NACCMBlog, so join us at NACCM. Register here. Today’s guest post is contributed by Steve August, Founder and CEO of Revelation, a partner of The Market Research Event 2011. A pioneer in online qualitative research, Steve is considered a thought leader in the market research industry. Prior to founding Revelation, Steve served as a principal for research consulting agency KDA Research, where he was responsible for business development and research, helping the company to triple revenue in three years. We are living in a miraculous age. Until recently, researchers had little access to consumer experiences. In the context of people’s lives, two hours in a focus group facility or in a participant’s home represents a very narrow slice of people’s lives. Yet, many of the things we are most interested in understanding occur during the part of people’s lives when researchers cannot be present. This limited access to consumer experience has been a handicap to researchers in fulfilling the basic mission of market research: understanding people to answer business questions. To borrow a phrase from the 1990′s ‘the paradigm has shifted’. Thanks to the age of social technology ‘ web, mobile, rich media, social software – researchers have unprecedented, sustained access to people’s lives. Geography and time cease to be constraints; consumers all around the world are able to share their stories, the day-to-day experiences: moments of behavior, use, purchase and decision-making. This shift has tremendous implications for qualitative research. Where once our options were to bring a group of people into a room far removed from their actual behaviors and experiences or spend huge amounts of money and time sending researchers into people’s homes — now consumer stories are literally at our fingertips ‘ if we know how to bring them to life. This is where activity-based research comes in. It is an adaptation of methodology to match the interaction model of asynchronous online and mobile research. Activities can be diaries and journals, projective exercises, mini-documentaries, representational photography, personification exercises and a myriad of other possibilities. They can be used to explore behaviors, environments and emotions. Blended together in the right sequence this methodology makes you feel like you are in the room with your consumers, wherever in the world they happen to be. Want to learn more? Please visit the Revelation booth (116) at TMRE! As a guest blogger, you’ll have access to NACCM’s comprehensive agenda attracting the best in insights from around the world. 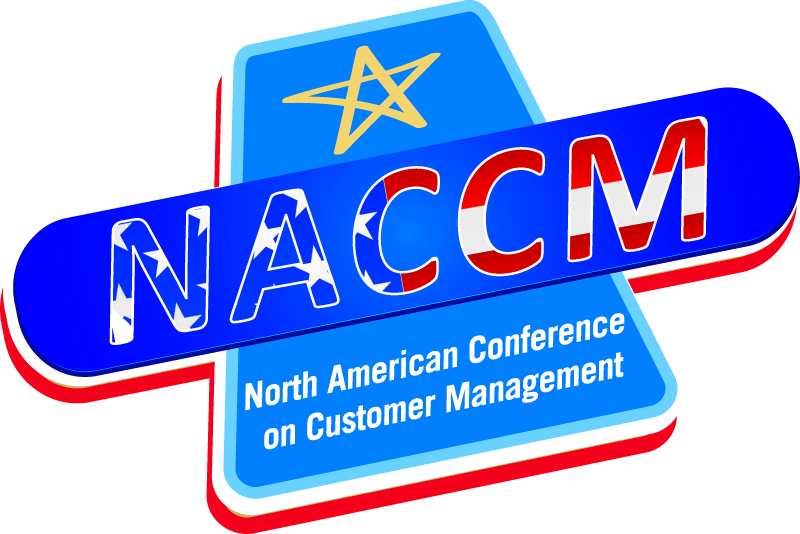 For the past 9 years, NACCM: the North American Conference on Customer Management has been your most trusted partner for peer-to-peer sharing. Welcome to an all new journey through the personal and professional moments that matter most as told by an all-star cast of storytellers. By participating as a guest blogger leading up to and at the event, you’ll receive an all access pass for the entire event, taking place November 14-16, 2011 at Disney’s Contemporary Resort in Orlando, FL. 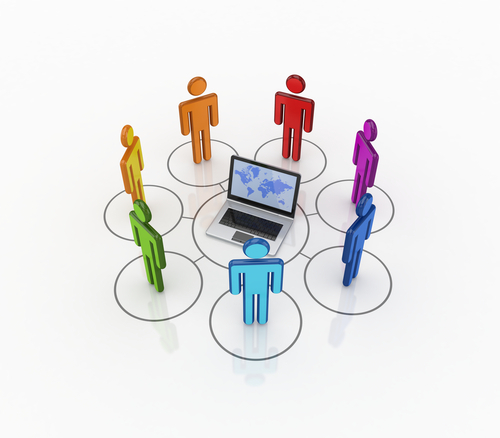 Responsibilities will include attending specifically assigned sessions and blogging live or same day. In exchange for guest blogging, you will receive an all-access pass to the event ‘ a $3,000+ value. Guest bloggers are responsible for their travel and lodging. Denver, CO ‘ October 18 ‘ As we enter the ‘consumer age’ of empowered buyers who are not afraid to speak up, a new level of customer obsession becomes vital for the success of any business. Consequently, businesses need to move faster and demand real time information and recommendations if they want to keep up with the evolving times. Digital tools have posed new opportunities that can help researchers deliver what today’s business world demands: better, faster, and cheaper insights that inspire more accurate and profitable business decisions. To ease the transition into the digital world of research, Qualvu has launched Institute of Qualvu (IQ), an online program designed to help researchers master everything they need to know about next-generation qualitative research. 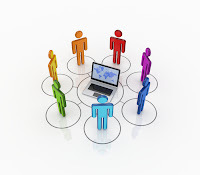 The complimentary, multi-session program to be kicked off on October 26th, 2011 will engage researchers, showing them exactly how online qualitative research projects work and how they can set them up themselves. Staying up to speed on the evolving research trends is essential for researchers today, and IQ’s mission is to provide them with the tools to do just that. IQ is targeted at researchers interested in enhancing their value proposition, providing better, faster, and cheaper ways to deliver answers to business questions and digitize their research. Through ten engaging, interactive, and informative sessions, researchers will gain insight on digital qualitative research tools, digital research best practices, and online reporting and analysis. To register for IQ and learn how you can take your research to the next level, click here. Qualvu is the future of qualitative research, inspiring business decisions guided by the voice and face of the consumer. Through streamlined video-based technologies, we collect better human intelligence and deliver superior insights that drive decision making. The Qualvu proprietary platform ‘ DESIGN-COLLECT-DELIVER-SHARE ‘ enables multi-language, global research that drives online reports supported by actionable analysis and video highlights. Capturing behavioral and attitudinal feedback from home, work, in-store, and even in-vehicle, Qualvu delivers new levels of human access. Whether via webcams, flip cams, or the Qualvu mobile app, consumers are empowered to share truthfully; and brands are empowered to gain deeper insights, make better decisions, and share key data across the organization at a value that is changing the game. For more information, visit www.qualvu.com. I left my chat with Bill with one piece of all-important advice for those interested in the foundations of leadership workshop and that is “walk a mile in your customer’s shoes.” Be it staying a night in the hotel you manage or calling in to a call center, you can’t truly connect with the customer experience (good and bad) until you live it. Readers of the Customer’s 1st blog can save 15% off the standard registration rate with code NACCMBlog, so join us at the workshop on Monday, November 14th at NACCM. Register here.